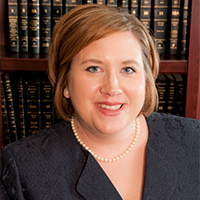 Amber Yerkey James practices family law in Madison County, Alabama and Morgan County, Alabama particularly in the Huntsville and Decatur areas of North Alabama. With her practice being solely focused on family law, Ms. James assists clients with divorce, paternity, child custody, child support, dependency, surrogacy, adoption, terminations of parental rights, grandparent visitation, appeals, alimony, prenuptial agreements, post-nuptial agreements, wills and estates, and real estate and property division matters. Ms. James also specializes in father’s rights. As the parent of an autistic child herself, Ms. James brings a great deal of compassion and understanding to matters involving children with special needs. If you want to be listed here on, Huntsville Father Lawyers, we have room for three more, please click here to learn more. Featured image of Huntsville via Larry Wilbourn on Wikimedia Commons.